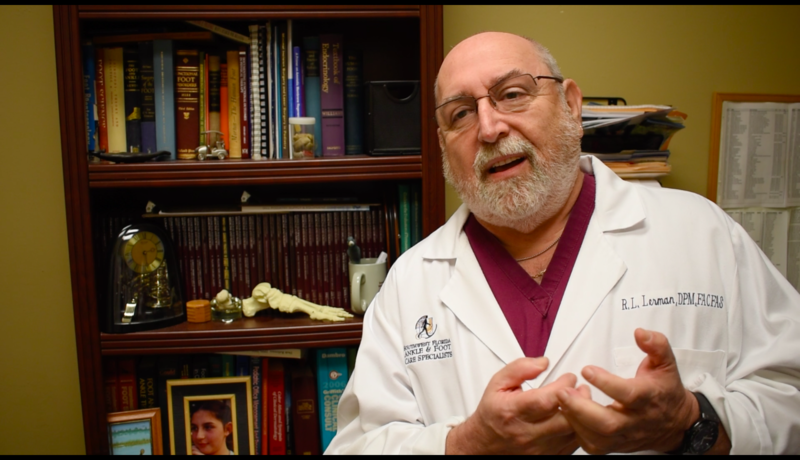 Ralph Lerman, DPM has partnered with Pat h Scientific to offer a new innovative approach to treating THICK FUNGAL Toenails. 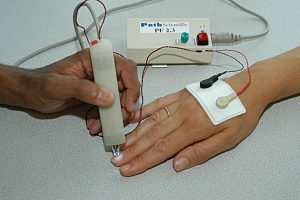 Path Scientific’s technology is based upon electrical impedance controlled drilling of skin, nail or other tissue. This is utilized to treat Fungal Toenails, Thick Toenails, and Painful Toenails with high rates of success. Openings are created painlessly in the stratum corneum of the nail plate by sensing the drop from the high electrical impedance of stratum corneum/nail plate to the low impedance of the underlying tissues, triggering rapid cutter withdrawal before reaching the nerve bed. For more info on Path Scientific CLICK HERE. 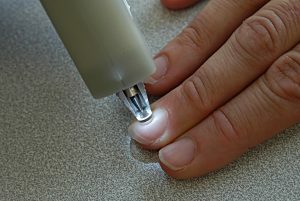 The benefits of micro drilling small pores in to the nail plate allows topical anti fungal medications to penetrate at a higher and more effective rate than previously available. This allows much higher rates of success when treating Fungal Toenails. The PathFormer device is featured in the Podiatry Today under surgical pearls. The article authored by Andreas Boker, MD and Jesse Burks, DPM reviews the use of PathFormer in treating nail conditions such as onychomycosis and black toe (subungual hematoma). Surgical Pearls: Can A New Nail Trephination Device Help Treat Nail Conditions? 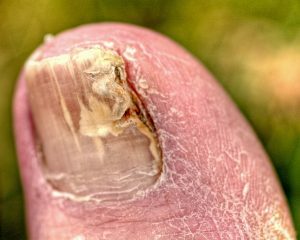 A phase I trial was conducted at the Brigham and Women’s Hospital, Boston, MA to evaluate the efficacy of topical treatment of onychomycosis via microconduits created by the PathFormer. Treatment of subungual onychomycosis with topical terbinafine delivered to the nail bed via transungual microconduits shows promise in this small blinded pilot study with 71% of the subjects showing improvement in clinical assessment compared to 28% in the placebo group. The results were presented at the 65th Annual Meeting of the American Academy of Dermatology, Washington D.C., Feb 2-6, 2007. The use of PathFormer to relieve subungual hematoma is published in The American Journal of Emergency Medicine. 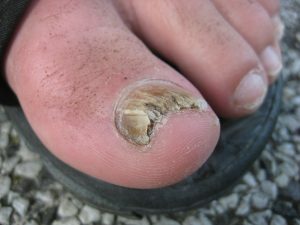 A pilot study was conducted at the Brigham and Women’s Hospital, Boston, MA to test the safety and tolerance of creating toenail microconduits using the PathFormer. All subjects felt no or momentary pin-prick sensation. The results were reported in the journal Dermatologic Surgery. Additional printable information available below. Doctor Barbounis is an outstanding doctor. I have seen him for several different issues for both feet and for each issue he has taken time to fully listen, educate and involve me in the best treatment plans available to me. His knowledge and personality is outstanding! I have referred friends and co-workers to him and they have all been very pleased. Thank you Doctor Barbounis! Dr. Barbounis took excellent care of my son, who had a fractured ankle, requiring surgery. The staff and Dr. Barbounis were all very attentive, and had a great rapport with myself and my son. Very caring and competent medical group. Wonderful experience. The staff and doctors are warm and welcoming.